When you finally find the motivation to get back into the habit of working out. We tend to try and figure out our fitness routines on the fly wasting precious body transformation time. 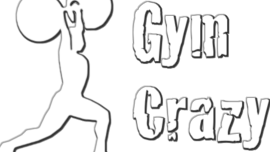 Gym Crazy is a social fitness site that lets you create, share, rate, and subscribe to fitness routines. Gym Crazy is GitHub for fitness routines. Liability! What If someone gets hurt. Validity! Is the diet and nutritional information accurate. Accountability! How do we ensure workouts are performed. Create landing page to evaluate whether there is enough interest for this type of service. Based on interest create a beta service and send all users that signed up a promo for the beta service. Gather feedback from early adopters, and continue to iterate the service.